Think Thru Fashion thinks Nicole Richie should go to Paris more often. Reporting for Oprah.com, The Budget Babe shows you how to get Fashion Week looks for less. All Lacquered Up shares swatches of the Deborah Lippmann Spring 2010 nail polish collection. The Budget Babe makes Style Clone's top 100 fashion blogs list (shameless self promotion). Apartment Therapy reported last month that Diane Von Furstenberg is launching a home decor line next year. Fashion Court is crushing on actress Rose Byrne's fab style. Chic Intuition has the scoop on H&M's new skin care line. College Candy asks, would you go sheer for spring? Oprah is giving old fashion favorites a new life with a charity auction on eBay. You don't need a prescription (or a big budget, for that matter) to get in on one of the hottest trends for spring: Geek chic glasses are now wholeheartedly embraced by fashionistas everywhere as a slightly ironic, totally cool, statement-making accessory. This look certainly isn't new—retro nerdy specs are always "in" somewhere—but the question is: Will YOU be wearing them? **UPDATE 7/6/10** Hilary Duff is wearing Cutler and Gross D-shaped acetate glasses, $470 at net-a-porter.com. 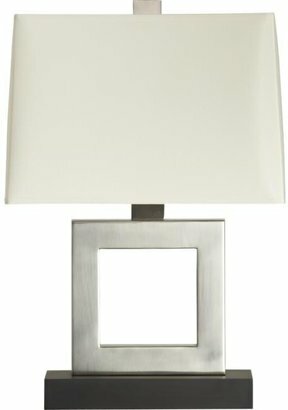 This Duncan Table Lamp from Crate & Barrel makes a subtle yet sophisticated statement. Yours for $229 at crateandbarrel.com. Try this Ore Square Table Lamp from Kmart to get the look for less. Yours for $83.99 at kmart.com. This J. 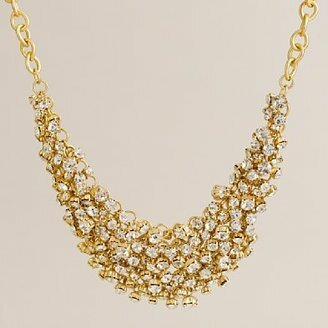 Crew Supernova Necklace sells for $128 at jcrew.com. Get a similar look for less with this rhinestone statement necklace, available in gold, black or silver, for $36 at threadandcommon.com. For his 2010 Resort Collection, Lanvin designer Alber Elbaz drew inspiration from sunny Acapulco. Here, a round-up of bright fashions that evoke the clear blue waters and sandy beaches of this Mexican retreat.